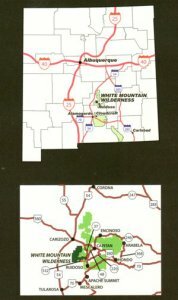 The 2012 edition of the White Mountain Wilderness Map produced by the US Forest Service contains the most up-to-date information on access roads, trails, campsites, terrain, and points of interest within the White Mountain Wilderness. All wilderness maps contain contour lines, a topographic quad index andcontact phone numbers, and the vast majority contain planning tips anddescriptions of the terrain. With elevations reaching 11,580 feet, up to six feet of snow blankets these mountains from the middle to latter part of November until as late as June, hence the name White Mountains. The White Mountains run generally north-south, with the Mescalero Apache Reservation anchoring the southern end. The steep west side is extremely rugged, with extensive rocky outcroppings, while the gentler east side is distinguished by broad forested canyons and a few tiny streams. 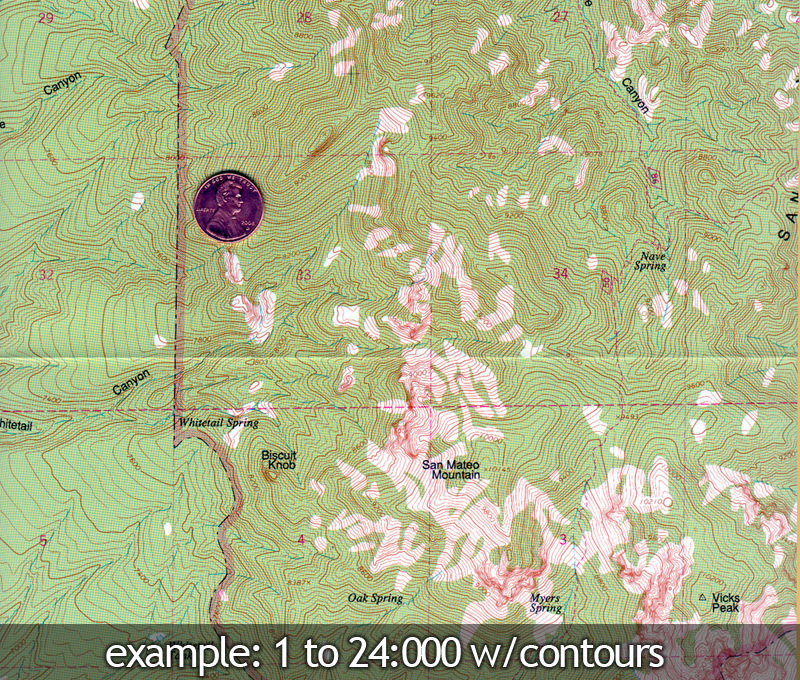 The White Mountain Wilderness map of the Lincoln National Forest is printed on waterproof, tear-resistant plastic. The map is on one side, and the other side contains photos and travel information.